One final day with the gorillas. We tracked a new family, called Group 13. 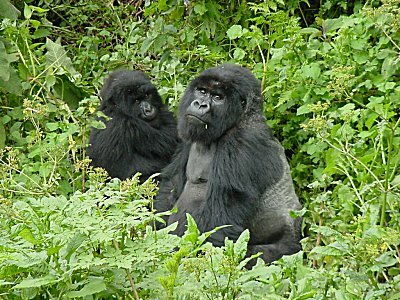 Despite its name this family only has nine gorillas. It took much less time to find them. We heard and then saw the dominant male crowing and beating his chest as we approached. His hands cup air as they struck his chest, creating a hollow sound that carried a long way in the jungle. 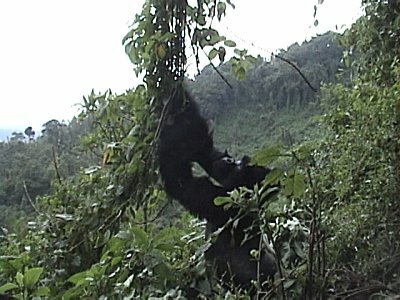 We came close enough to touch these gorillas and they were curious about us too. Our guide waved away ones that came too close - we don't want to transmit any human diseases or colds to them. 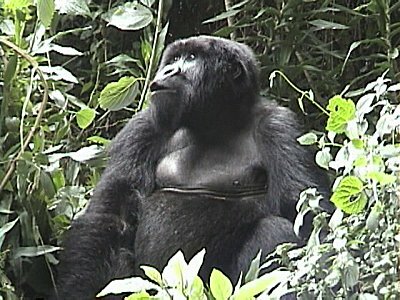 The silverback regarded us intently and our hearts quickened. These are magnificent animals. 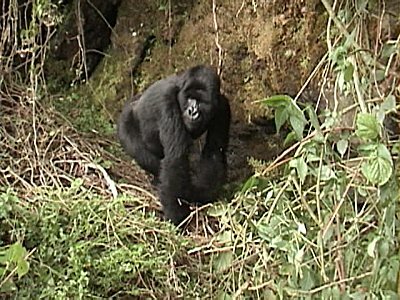 The males weigh over 400 pounds and have the strength of eight men. Food out of reach? No problem. Pull the tree down.